December 8, 2010 - - Newport, RI - - Z Blok has been chosen as an Official Supplying Sponsor of the PUMA Ocean Racing team. PUMA Skipper Ken Read (Rhode Island, USA) and his crew will use Z Blok sun protection products exclusively in the Volvo Ocean Race 2011-2012. The race is referred to as “The Everest of Sailing” and covers over 39,000 miles of extreme ocean racing. Z Blok LLC will supply PUMA with Z Blok lotion and stick products in addition to the new Z Blok Lip Balm. 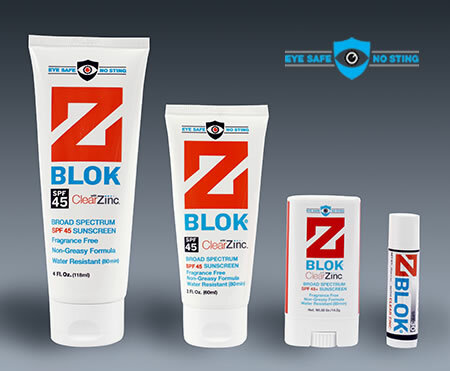 All Z Blok products utilize non-stinging Clear Zinc as the active ingredient. The Volvo Ocean Race began in 1973 as the “Whitbread Round the World Race”. It is a high-endurance, physically-challenging race in the world’s fastest monohull, where men and women compete at the top of their game, sailing continent to continent, in an easterly direction around the globe. The race takes approximately nine months to complete, covers 39,000 nautical miles in challenging and often dangerous waters, and is broken into 11 separate legs. The Volvo Ocean Race 2008-09 challenge will have at least 12 ports of call, including ports in Middle East, India and Asia - places never before visited in race history.